The President of the United States is considered to be the most powerful individual in the world. The principal source of this power is Article II of the US Constitution. Article II outlines term of office, the selection, the qualifications, the oath, the powers of appointment, the responsibilities and provisions for impeachment. This is done in about 1,000 words. The Constitution is a document of economy. It’s interesting that it does not say when the president’s term starts. It was the 20th Amendment 145 years later that fixed the date as January 20th. Article I, Section 7 defines the President’s power to approve or veto laws passed by Congress. Article I is devoted to Congress and the passage of laws, so while Article II is the principal source of presidential power, logically, presidential interactions with Congress are also in Article I. Those words created what became the most powerful office in history. Article II, Section 1 defines the term of office (four years), election process, qualifications, succession, oath of office and impeachment. Section 1 created the Electoral College. Its members (electors) actually elect the President and Vice-President. Each state has electors equal to the number of its Senators and Representatives. This group of individuals legally cast the votes that choose the president. In 1788, in most states the general population had little say in the selection of Electors. The state legislatures chose Electors, who then cast the Presidential votes. By 1832, all states except South Carolina provided that Electors be chosen by popular vote with the Electors pledged to vote for their state’s winner. There is no constitutional requirement that Electors vote in that manner. Once chosen, a member of the Electoral College may cast a ballot in favor of anyone for president. The Constitution leaves the states to determine how Electors are chosen. Originally, the person with the second highest electoral vote became Vice-President. In 1796 and 1800 the system elected political rivals to the two top offices. As a result, in 1804 the Twelfth Amendment was ratified mandating a separate vote for Vice-President. The Constitution failed to provide for the possibility that a person elected president might die before taking office. The Twentieth Amendment corrected this oversight, providing for the vice-president-elect to become president. When all states finally chose Electors by popular vote it became possible for a presidential candidate to win the vote of the people yet lose in the Electoral College. That happened in 1876, 1888 and 2000. This has been the source of much debate about reforming the Electoral College system. The Constitution provided for the Vice-President to acquire Presidential powers in the case of death, removal or disability. No provision existed to fill a Vice-Presidential vacancy. 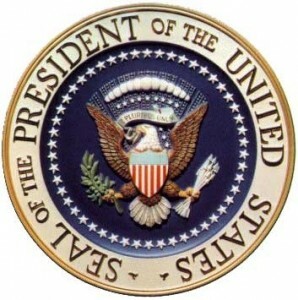 In 1967 the Twenty-Fifth Amendment allowed a President to appoint a new Vice-President with majority approval of Congress. This Amendment established a process to deal with Presidential disabilities. Article II, Section 2 delineates Presidential authority and confers the title of military Commander in Chief. As the President commands the world’s most powerful military he is known as the world’s most powerful leader. Section 2 provides much more. The President’s executive authority comes from the fact that, with the consent of the Senate he appoints: “ambassadors, other public ministers and consuls, judges of the Supreme Court, and all other officers of the United States”. These officials serve at the pleasure of the President (except judges, who have lifetime appointments). The President represents the United States to other nations. This is not just ceremonial, but is practical, since the Constitution grants the power to negotiate treaties, with Senate approval. The President has powers literally of life, death and freedom. This is the pardon power. The President can call off an execution or free someone from prison with the stroke of a pen. The president’s duty to “faithfully execute” the law is currently part of a lawsuit by Immigration and Customs Enforcement (ICE) agents challenging a presidential directive granting deferments from deportation proceedings to a large group of aliens who did not enter the United States legally. The agents contend that President Obama’s directive to not enforce the law is unconstitutional and violates the Constitution’s command that the president faithfully execute the law. In late 2013, members of Congress are introducing a resolution to sue President Obama for failure to “faithfully execute” the law by changing various laws through executive order or like the ICE agents ordering other members of the executive branch to not enforce the law. This failure may be a breach of the Constitution and the fiduciary duty it imposes on the federal government. Legal scholars have debated as to what is a high crime or misdemeanor. As a practical matter, those offenses amount to any conduct that is agreed upon by a majority of the House of Representatives and two-thirds of the Senate. While the Constitution broadly vests executive power in the president, it does command that the laws be faithfully executed. There is no constitutional authority to exempt individuals from a law. The use of “waivers” by the Obama administration is a use of a power not granted. Colombia Law School’s Professor Hamburger reminds us that waivers are the province of popes and kings, not presidents. The president’s authority is not unlimited, and actions outside the authority granted are subject to challenge. Presidents have often become frustrated with Congress and threaten to exercise power to implement policy when Congress does not further a president’s agenda. Barack Obama has indicated he will use his pen and his phone to bypass Congress. Richard Nixon simply said: “Well, when the president does it that means that it is not illegal.” While the president may be the most powerful individual on the planet, he is not an omnipotent king. President Obama has indicated that he has a “pen and a phone” that he can use to run the government. This installment of Constitutionally Speaking addresses the authority of the president to issue legal executive orders. State law may restrict the voting by its members of the Electoral College, but nothing in the Constitution does so. Since 1788, 156 Electors have not cast their votes for the candidate to whom they were pledged. People think they are voting for president, because the ballots indicate the names of the presidential candidates. They are actually voting for Electors pledging to vote for a particular candidate in the Electoral College.